Elizabeth Atkinson, Associate Dean of Faculty and Associate Professor of Chemistry, reading The Whistling Season, by Ivan Doig. 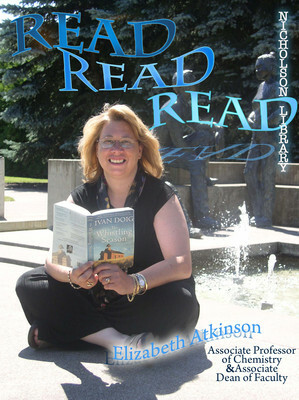 Terry, Paula and Nicholson Library Staff, "Elizabeth Atkinson READ Poster" (2008). READ Poster Gallery. Image. Submission 36.